Testimonials from businesses we serve... ask to see the complete letters in our office. "... since 1982. During the 24 years of our association, we have purchased two phone systems." "... since 1988. COMMWORLD has met our needs and exceeded our expectations"
"From our initial discussions through installation, training and now after using the telephone system for over a year, our experience with all the representatives of COMMWORLD of Kansas City has been exceptional. The response time has been quick, the consultation and training was professional and the technical expertise was extraordinary. 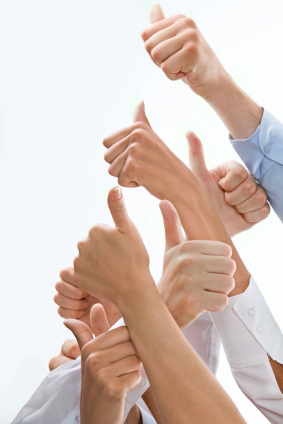 These are rare qualities to be found in a single vendor today." "This phone system has allowed me to manage thousands of phone calls a month and analyze call data pertaining to the number of calls per month, missed calls per month and the time of day I receive the majority of phone calls. It also provides savings in the form of less staff due to the call management features. Furthermore, questions regarding functionality of the system have always been handled in a prompt friendly manner." "Over the past four years COMMWORLD has been a pleasure to work with. Not only do they understand our business needs, they have been very helpful improving our level of service to our clients. They make appropriate suggestions as new technology comes on line and they never try to over sell services because they know our business and our priorities." "We were very smart when we chose COMMWORLD of Kansas City...Through initial proposal, installation, training and follow up, we have found your service to be superb....Thank you for your help and service." "... over the past 14 years ... appreciate your professional and prompt attention to our needs ... we cannot function without our phone system in good working order." "Your field staff is patient, efficient and responsive." "Your company took the time and trouble to find out what our situation was. Then you came up with solutions for all of our communications problems – even the ones we did not know we had!" "No one among us eagerly anticipated buying a much-needed phone system ... in truth, there was probably more of a sense of dread. What a pleasant surprise COMMWORLD turned out to be!" "Thanks for your help yesterday. It's always enjoyable to deal with someone who is competent and efficient at what they do. You obviously are!"